Are you ready for authentic slot machine action? 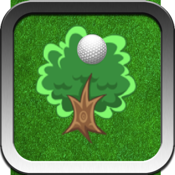 Golf Hero Slots features the crack of the ball, the roar of the crowd and the sounds of nature as you try to become the Golf Hero. Whether you are waiting for a tee time or just want to take it easy, you can now have exciting casino golf action anywhere, anytime.